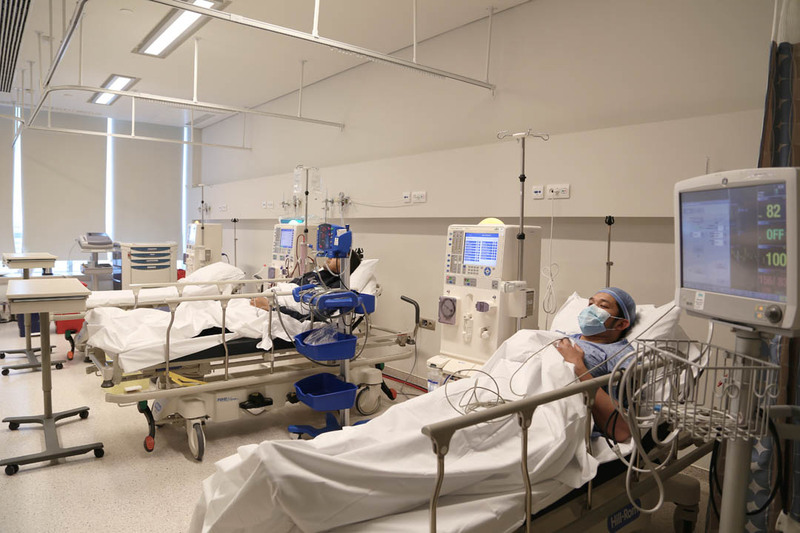 Faruk Medical City Hemodialysis Unit offers the highest medical care treatment and the full range of renal care therapy, which includes dialysis and plasmapheresis to patients of different race, ethnicity, age, and gender. The FMC Hemodialysis unit was established in 2015 and had provided service to more than thousands of patients since then. 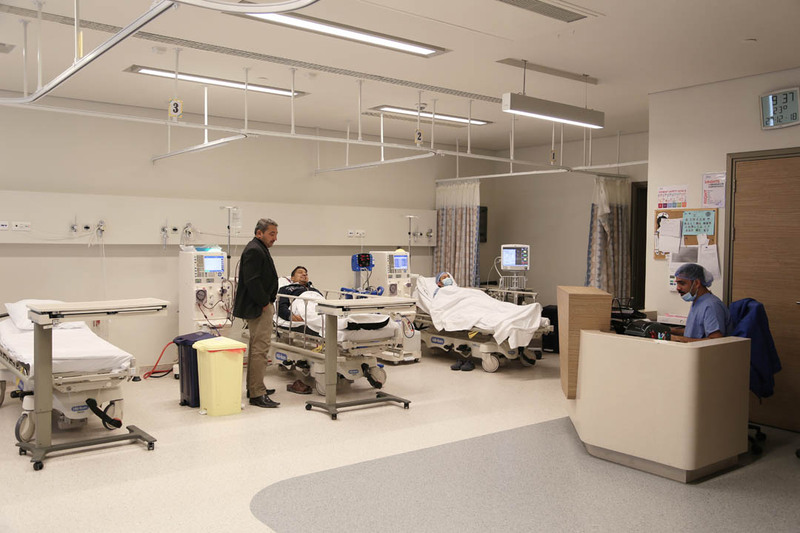 The unit comprises of three beds and three operational Fresenius 4008s Next Generation machines. 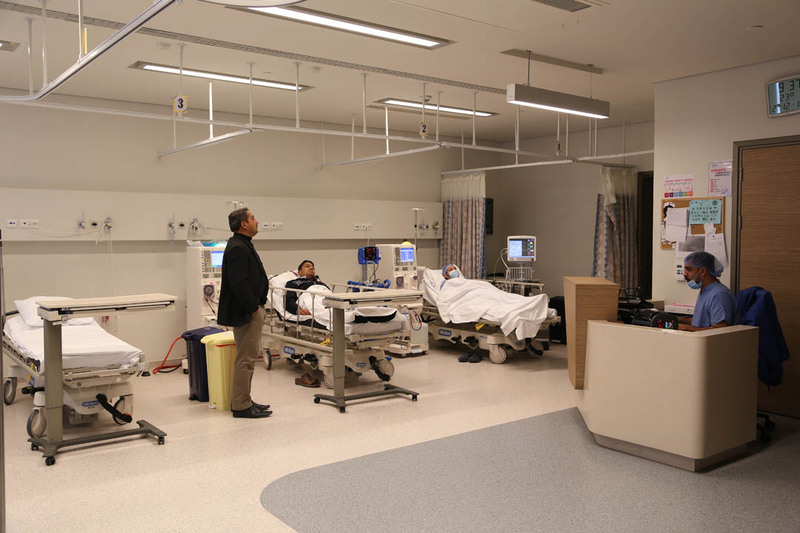 The unit regularly operates from eight in the morning to nine in the evening from Wednesday to Saturday but accommodates emergency cases beyond the operating hours and days. It offers comfortable and pleasant environment with air conditioning room; access to entertainment such as television; and access to food and drinks. 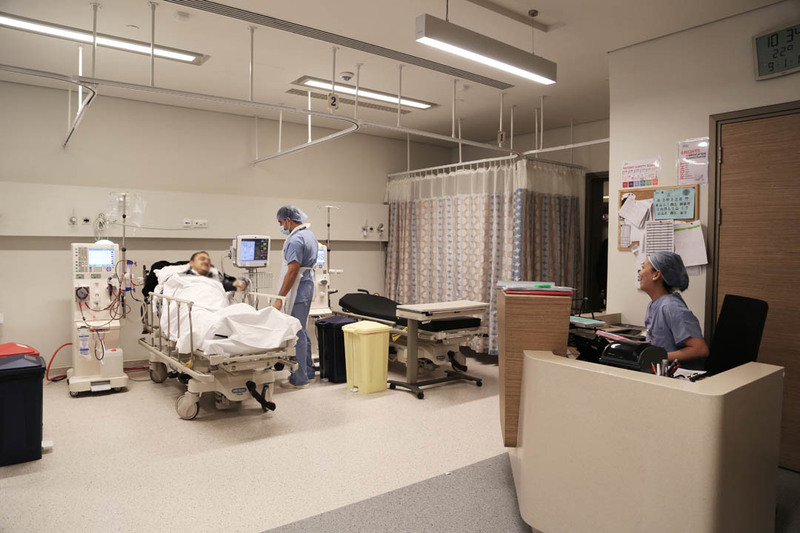 FMC Hemodialysis gears toward providing excellent services that promotes longevity of life and optimal care for patients with acute and chronic renal disease. We also strive to establish a trusting relationship with our patients together with their families and to empower them to take an active role on choosing their treatment. 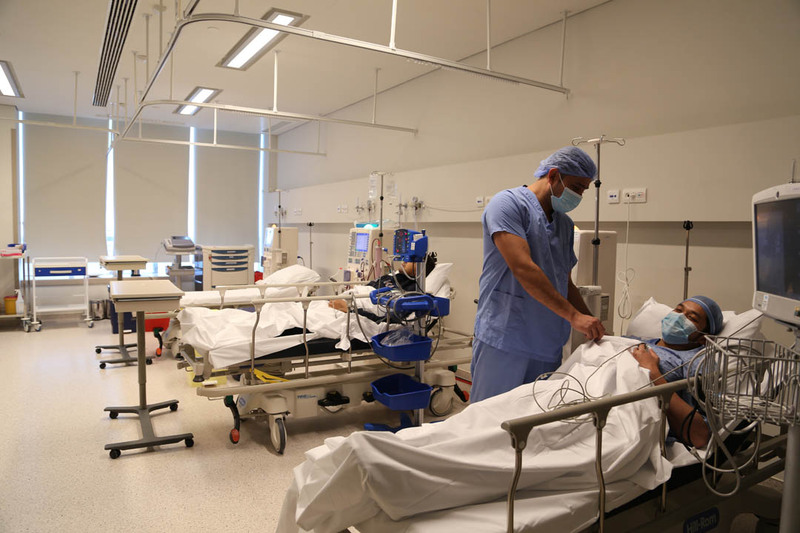 We make sure that our patient’s health and safety our top priority. To ensure these aims are being delivered, well-experienced registered nurses and nephrology residents are always present within the unit. 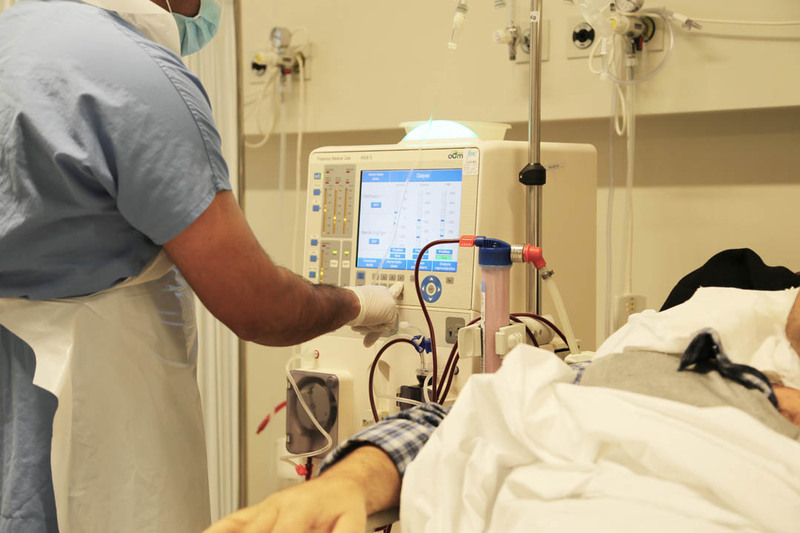 Dialysis is the process of removing excess water, solutes, and toxins from the blood in people whose kidneys can no longer perform these functions naturally. This is referred to as renal replacement therapy. 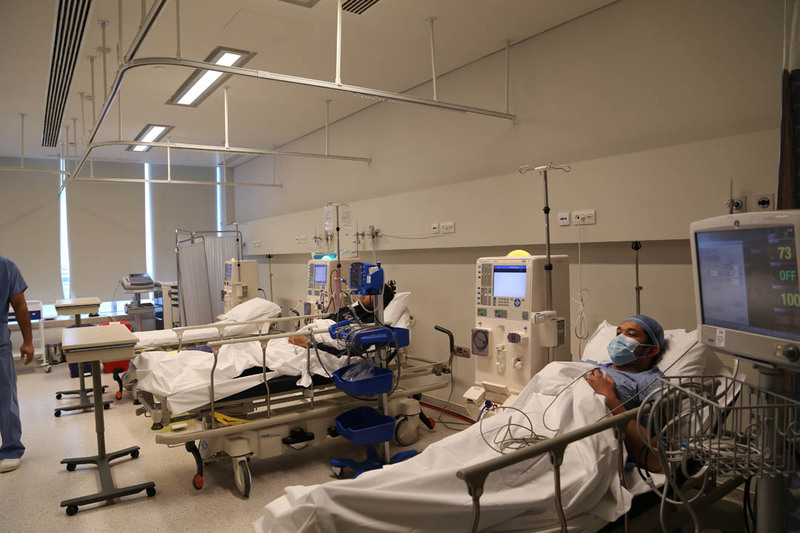 Dialysis is a treatment that does some of the things done by healthy kidneys. It is needed when your own kidneys can no longer take care of your body’s needs. eGFR – Estimated glomerular filtration rate is the best test to measure your level of kidney function and determine your stage of kidney disease. *Your GFR number tells you how much kidney function you have. As kidney disease gets worse, the GFR number goes down.